As the holidays are quickly approaching, I figured it was time to re-post this post and share some of my favorite fish recipes. Some of these are great party treats and some are for when the party is over. My all time favorite is fast, easy, and delicious. In blender mix together milk and cream cheese or Neufchâtel cheese until smooth. Add salmon, dill, and lemon juice and mix. For a nice holiday flare, replace lemon and dill with thinly sliced red onions and capers. 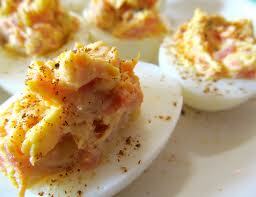 Make your favorite deviled eggs recipe. Add 1-2 teaspoons of Wasabi mayonnaise and 1 tablespoon smoked salmon to the yokes. 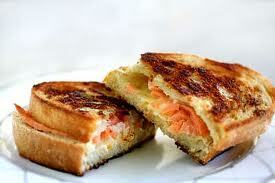 Grilled cheese sandwich made with cheddar add 1-2 tablespoons of smoked salmon, preferably Copper River Smoked Salmon. :) Add Dijon mustard. 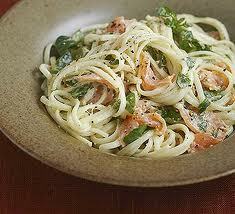 Add 1 can smoked salmon, toasted pine nuts and parmesan cheese. Yes, real men do eat quiche. 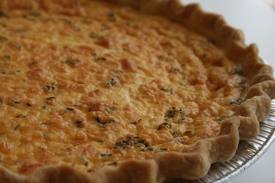 Especially smoked salmon quiche. 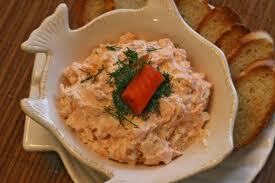 Add red peppers, cheddar cheese, green onion and smoked salmon, about half the can of smoked salmon. First, pour yourself your favorite adult beverage. Crack a window! Seriously, I'm not kidding here. Take any WILD Alaskan salmon, fresh or frozen. This is a great recipe for frozen salmon that has been in the freezer a little too long. It cover up that freezer taste. Now, I'm not talking about nasty white freezer burn, give that stuff to your dogs. But, if it's been in the freezer a while and has slight freezer taste, this will mask it. Slice salmon filet across the grain into 1/2 inch pieces. Turn oven fan on high. Again, I'm not kidding here. Put a CAST IRON pan (seriously, it has to be cast iron. I ruined a stainless steel pan once with this recipe.) on High heat until white hot. Take a plate and cover with Chef Paul Prudhommes Blackened Redfish Magic Seasoning. Dip the salmon slices in seasoning until covered on both sides. Carefully, without burning your fingers (tongs may be the way to go here or a fork) cook salmon in white hot pan for about 20 or 30 seconds on each side. Salmon should be medium rare in center. It will keep cooking once you take it out of the pan. 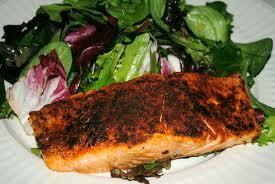 If you want your salmon overcooked, cook longer. This dish is good with turmeric rice and some green veggies like asparagus, broccoli or salad. If you have any recipes of your own to share I'd love to read them! Feel free to add them in the comment.